A simple, tasty and healthy milkshake. Best served fresh and chilled. Ideal as a breakfast drink or an evening drink. 1. Peel, core and chop the apples into small pieces. 2. Add them to a blender jar with enough sugar. 3. Boil and cool the milk to room temperature. 4. Add half of the milk to the blender jar and blend until smooth. 5. Add the remainin milk and blend again. 6. Pour into individual serving glasses filled with 2 to 3 ice cubes. 7. Sprinkle a bit of cinnamon powder. 8. Garnish with almonds and cashews. 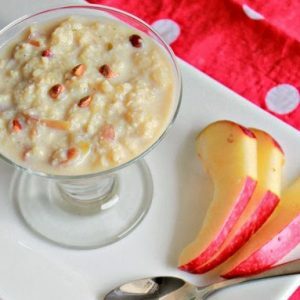 Tip: You can also grind the almonds and cashew nuts if preferred. 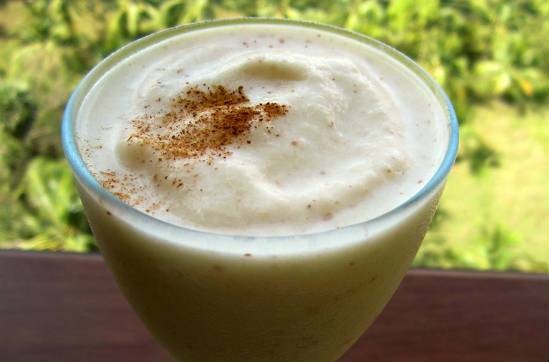 Feel free to comment or share your thoughts on this Apple Milkshake Recipe from Awesome Cuisine.